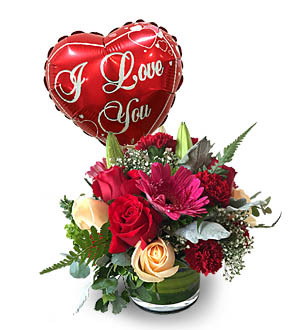 Brighten someone's day with a pot of flowers with a 9" 'I Love You' foil balloon. Measures approx. 40cm.